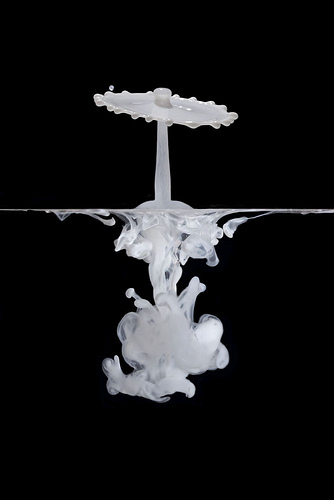 I love how Corrie White (yea, the ultimate super splash guide Corrie) approached the issue of creating a multi-splash. The hardest or most technically challenging path, of course, would be to actually make three splashes and somehow take their picture. One level down would be taking three exposures and merging them in post. But Corrie had what seems to be a better and simpler approach – doing it all in camera. 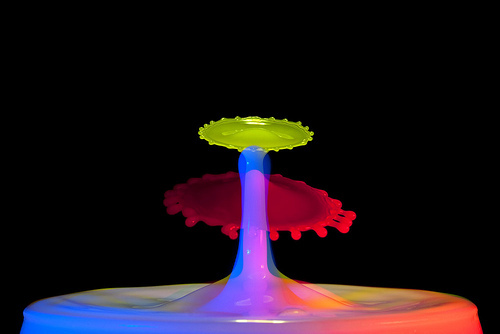 Usually, when using a few strobes in a single splash shot, the strobes are fires simultaneously to increase power output. (Remember? Low powered pop equals a short burst of light equals less motion blur. Since the strobes are set to low power, you need more of them to get more light). 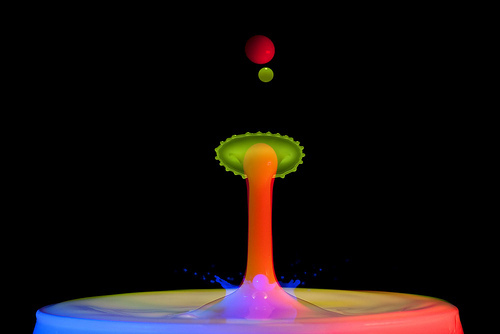 Corrie took a similar yet completely different path, using three gelled strobes that fired one after another, he was able to capture three stages of the splash in a single frame. 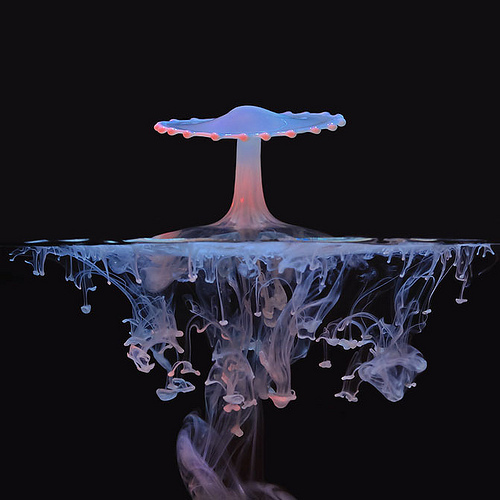 One splash timed with three flash guns covered with coloured gels. 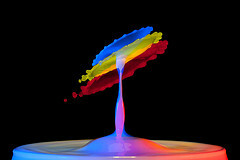 If you like splash photography, be sure to check Corrie’s Splash set and her ultimate guide to drop photography. The over under with color is a Corrie White Original! If you see anything like it anywhere else, remember you saw it here first!